Holi is one of the most famous festivals in India and is also known as India’s New Year. On this day, people besmear or spray each other with colorful powder regardless of age, gender, religion and castes to convey blessings and welcome beautiful Spring. This year's Holi falls on Spring Equinox. 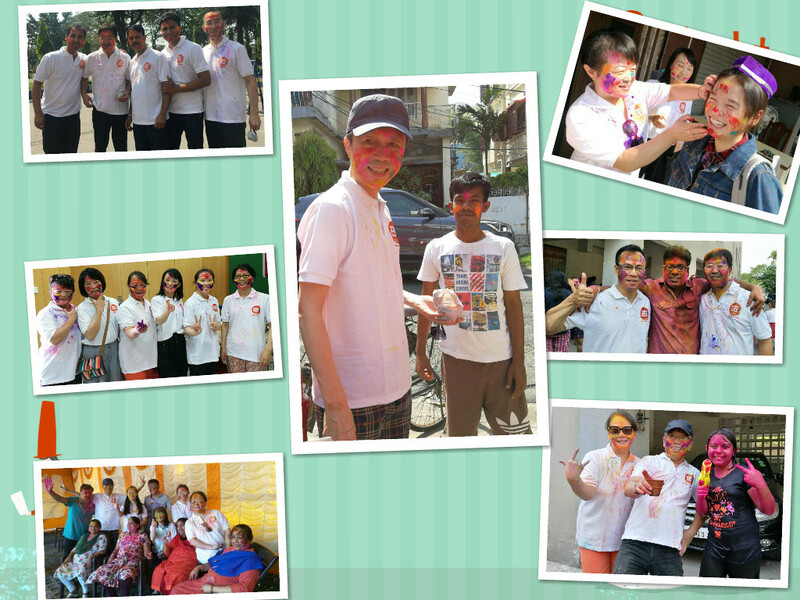 Consul General Zha Liyou and all members of Chinese Consulate celebrated this grand festival with local people. 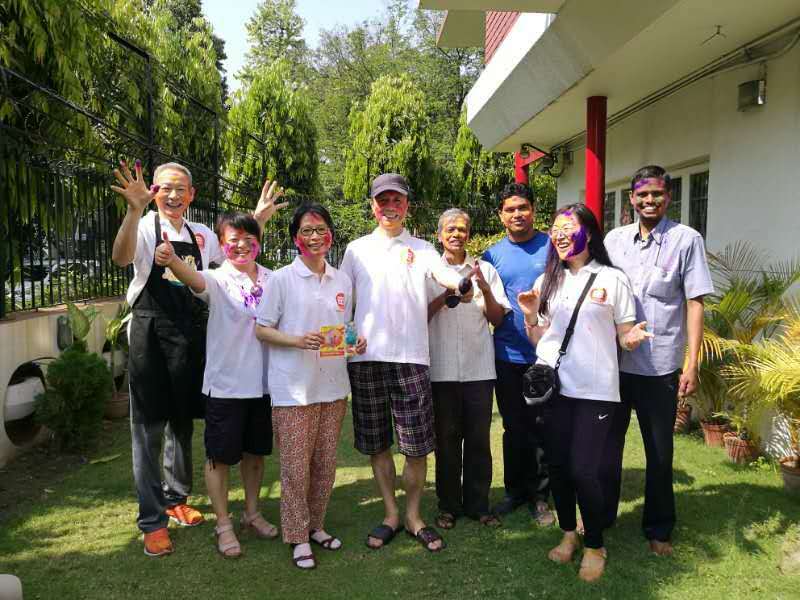 Early in the morning, Chinese diplomats besmeared local people such as security guards, pedestrians, and hawkers with colorful powder to convey blessings of festival. 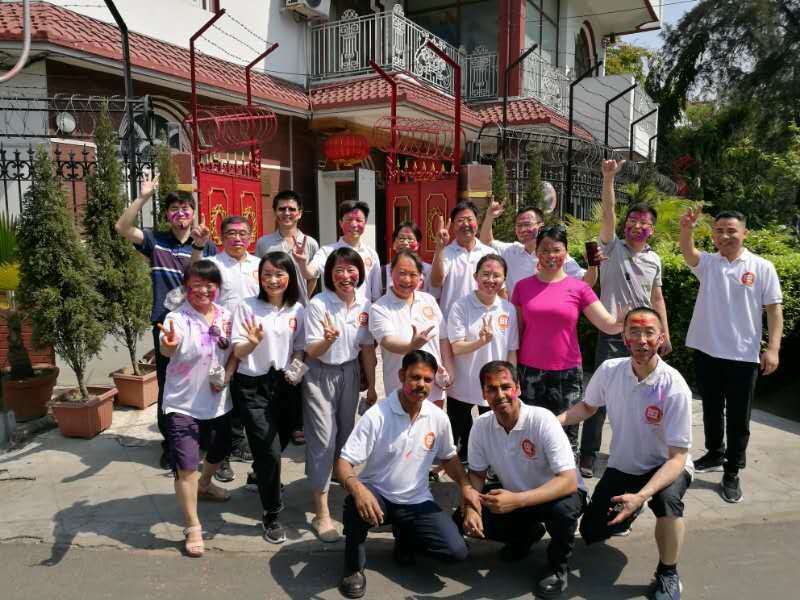 Indian people thanked Chinese friends for their festive blessings and deeply felt the respect of Chinese diplomats for traditional Indian culture. 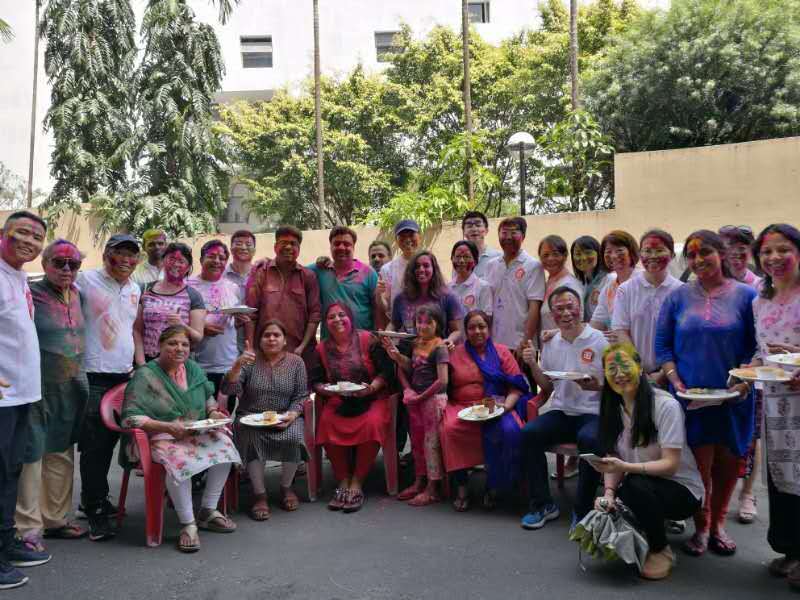 Later, all diplomats came to City Center Residency, Saltlake to celebrate Holi with residents there. Everyone sprayed colorful powder, and children even carried water guns and threw plastic balls with water on each other. People sang and danced, tasted Indian food, and expressed best wishes to each other. Chinese diplomats were impressed with warmth and hospitality of Indian people, gained more knowledge of India's unique culture and enhanced confidence in further developing China-India relations.